My latest lilting romantic endeavor has come to an end, as they tend to do, so I'm moping about at home right now, sighing with stingy eyes. The weather has been turbulent and volatile, and, as things in my life often do - it seemed symbolic, of something ominous and ill-fated coming my way. 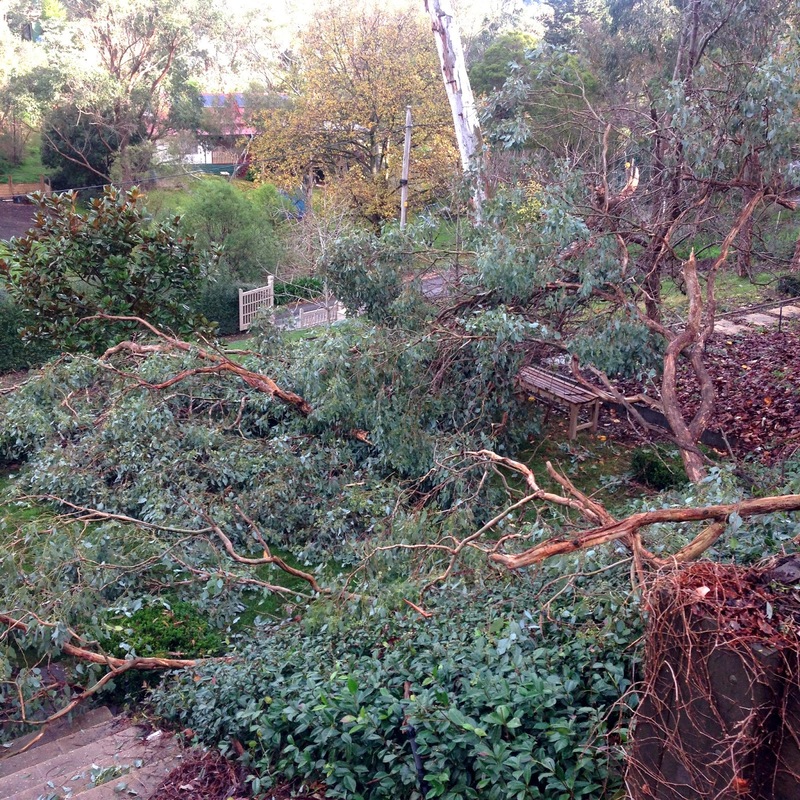 Yesterday a very large eucalyptus creaked, cracked and fell in our front garden. It had lived here even longer than me. Tonight I am reminded of my optimism in the face of adversity, or perhaps not true adversity, just discouraging elements of a regular person's life. For not being particularly religious at all, I hold a lot of hope and faith in things eventually being okay. I never want to lose that, mainly because when I tell people that will be the case, I want them to believe it. When they look right into my rather large dopey looking pools of eyes that are a bit too close together and with darting pupils that if you look real close - don't quite touch the edges of my eyelids - I want them to breathe a sigh of relief and really believe it, because I really believe it. I didn't think I'd be home alone tonight, with my wheat bag as a woeful substitute for the warmth of another human... but here I am, as I have been for more nights than I could probably ever even have hope of evening out with company. And, it's okay, or rather, will be okay, or, either way - and that's okay. When I begun this year I wanted to meet as many new people and have as many new experiences as I could, being the introverted homebody internet-dweller that I am. It's gone brilliantly so far, and I wouldn't trade in a single experience for something different, if that was at all possible. 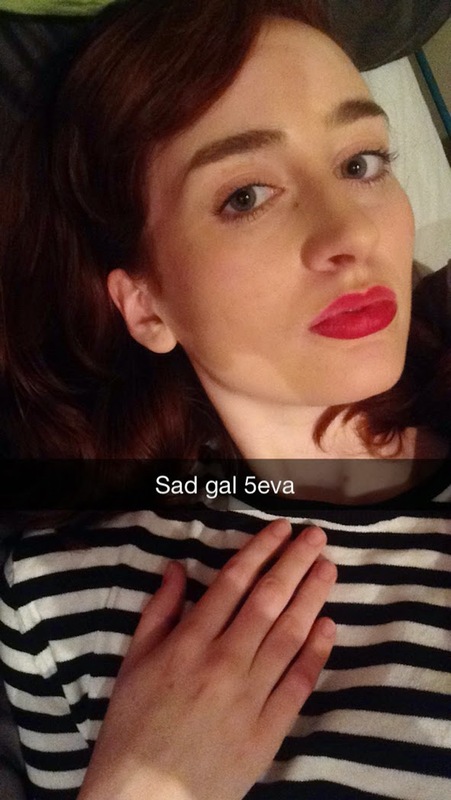 I may believe everything'll be okay, but like any sane, rational adult, I can't resist a melodramatic snapchat for my friends.